We're still coming down off the amazing high of the Yoga + Trail Running Retreat hosted in Golden this past weekend. With 32 brave and inspiring women and 1 strong and supportive guy it was certainly four days to remember. Here are a few pictures that captured some of the beauty and energy of the weekend. If you want more... check out #runyogatrails on Instagram, Twitter or Facebook. Yoga in our beautiful studio opened our hips and hearts. Cedar Lake at dawn, before our hot-hot Friday run. 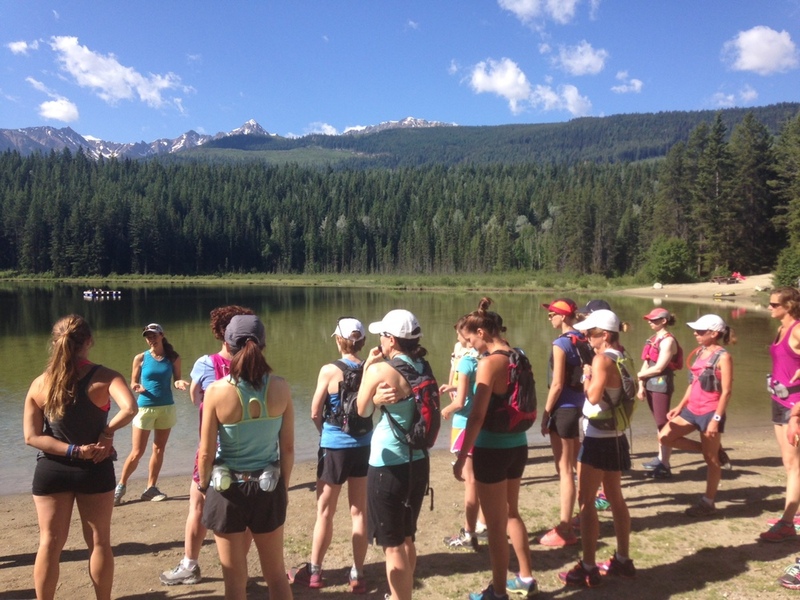 An alpine trail run in Yoho Park achieved some big goals and created enduring memories for many of the participants. Group run in the alpine. Photo by Lisa H.
Learning about proper running form before we hit the trails in Golden.